DrawBot write simple Python scripts to generate two-dimensional graphics added to Dev/Util directory. 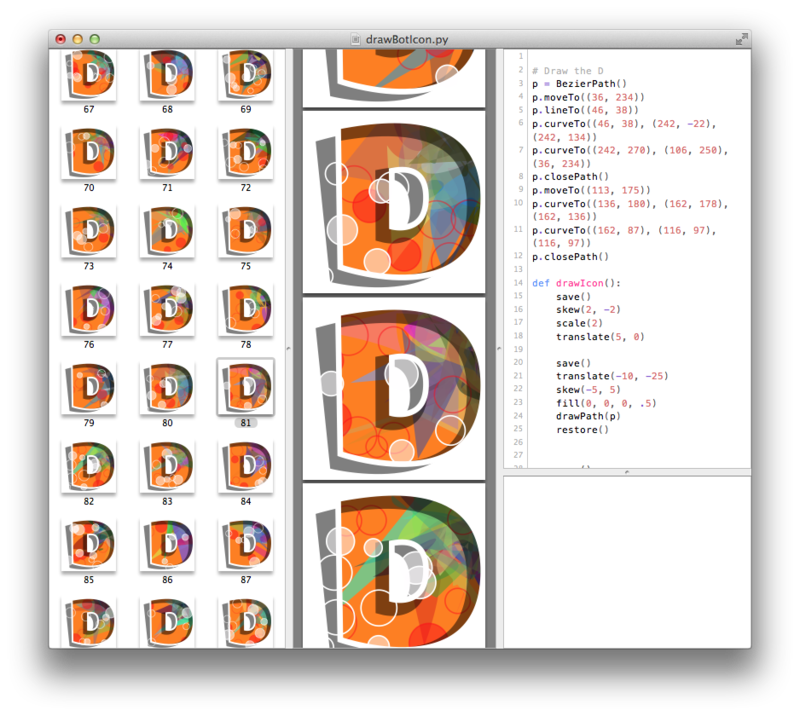 DrawBot is a powerful, free application for MacOSX that invites you to write simple Python scripts to generate two-dimensional graphics. The builtin graphics primitives support rectangles, ovals, (bezier) paths, polygons, text objects and transparency. DrawBot has proven itself as part of the curriculum at selected courses at the Royal Academy in The Hague. DrawBot is written in Python. The binary download is fully self-contained (ie. it doesn’t need a Python install around).